Importent Factors that cause Mumbai property prices to appreciate. Mumbai, popularly known as the financial capital of India, has seen tremendous development in the property investment sector. Residents are now gradually transitioning from living as tenants to becoming first-time home owners. Puranik Future City by Puranik builders is one such project that is strategically located to perfection at Neral in Mumbai. The location is close to some of the prestigious schools, colleges and medical institutions so residents can go about with their everyday commute with utmost ease. The project comprises of high-rise architecture marvels that ensure stunning views of landscaped gardens scattered around the project. We have now come to a juncture where the time matters the most. When is most appropriate time to invest in properties for maximum returns on investment? Questions like these often puzzle residents as getting on the wrong side of investments can prove to be costly. The land appreciation rates or the increase in prices depends on various factors. Be it the location, amenities, other independent plots of land or connectivity to the city, every aspect plays a part in contributing to the overall credibility of the project. Mumbai, over the years has welcomed multiple realtors with open hands for launching their respective projects. Introducing policies like RERA and GST, has forced realtors to come up with affordable housing options to clear excess inventory which has been piling up prior to such real estate policies. 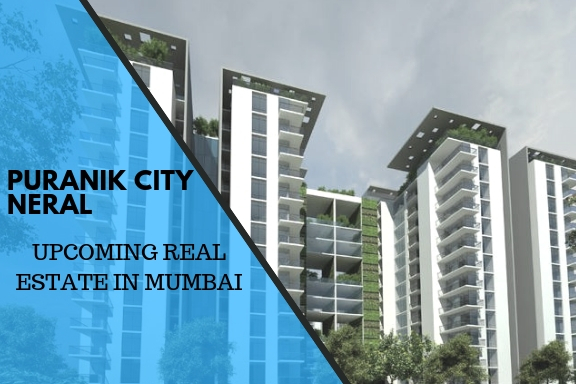 Rest assured, residents who are willing to associate and work with Puranik Codename Future City are sure to sail through their lives with effortless ease and comfort. Various factors influence land appreciation rates. Residents are suggested to primarily look for emerging localities instead of established locations as their investment destination. From the price to the land value in the future, emerging locations provide profitable returns as opposed to established localities. Lets now analyze some of the pointers that contribute to increased land rates in Mumbai. Geography of the city is the most important aspect that helps increase land appreciation rates. Mumbai is surrounding by water bodies from three sides that has helped residents get around to placed with relative ease. As an aspiring investor, one would want to be close to pristine water bodies for that ease of life and to avail eco-friendly benefits. Another important aspect is that there are suburbs around Mumbai that has shown equal if not more infrastructure development that Mumbai. The city is close to places like Pune which is a fabulous tourism destination. Residents are now willing to relocate to such places to have a retreat like environment in their backyard. This has subsequently increased land prices which is great for the city and investors who have gathered up from different cities across the country. Mumbai, known as the financial capital of India provides impeccable employment opportunities in the IT and financial sector. BSE, popularly known as the Bombay Stock Exchange are looking for potential candidates throughout the year. This has attracted residents from various backgrounds and income levels. Policies like RERA and GST by the government has brought about changes in the real estate property realm. Realtors have recognized these opportunities and have come up with affordable housing options to match up to the demands raised by prospective customers. This has led to realtors coming up with additional properties to predict future demands. NRI’s are now grabbing on to such opportunities so they can invest in multiple properties for a profitable future. In conclusion, we all can safely bet on the fact that Mumbai has witnessed remarkable developments in terms of investor activity and overall infrastructure progress which has evidently led to staggering property improvements.